There are times in your life when you come across something so amazing that you can’t believe what you are seeing. Often these moments take our breath away. They reach into our hearts and our minds and we take a moment to just absorb what is in front of us. I recently had this happen. It was packed in a plain white envelope on the side of a green plastic tub in my Dad’s basement. No one in the room with us knew what was in the tub other than some pictures and trophies. And no one knew what was in the envelope. My dad slid out three large black and white pictures and a piece of paper with names on it. Immediately he knew had something special and called me over to see. I found myself staring into the eyes of my ancestors. The haunting blue eyes were reminiscent of my departed grandfather Harry Hyde. The gene so strongh that even my daughter has blue eyes. 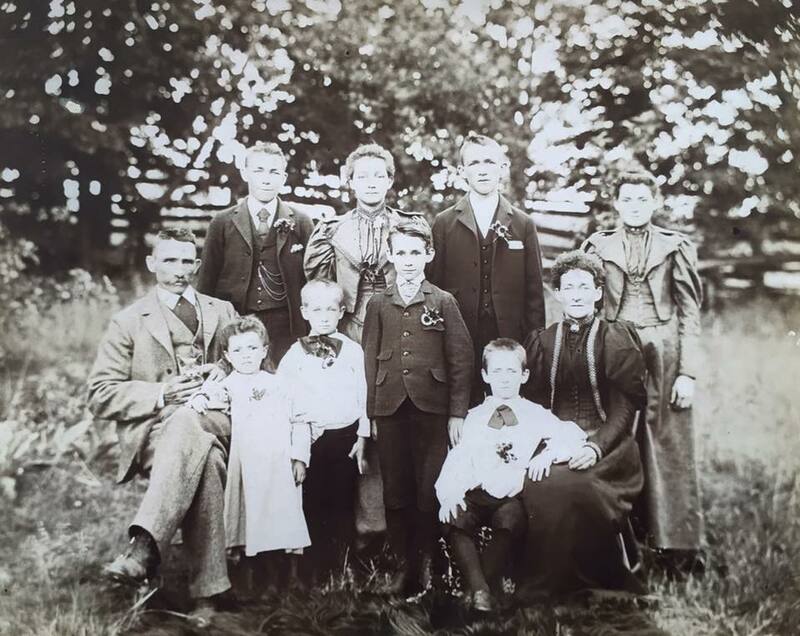 Everyone looks so alert and focused, even the kitten on my 2x greatgrandfather’s lap. The skills of the photographer evident in the framing and positioning of the subjects. It’s purely magical. 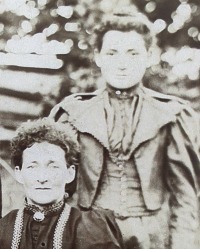 Mary Ann Marcy stands behind her mother Sarah (formerly McNeilly) in this June 1896 family portrait. Mary Ann was my mothers paternal grandmother, making her my great grandmother. She married William Hyde. She is standing at the end of the back row behind her mother. She and William are buried in the cemetery behind Kirkwall Presbyterian Church, a few plots down from her parents and her siblings. I imagine the family portrait was taken in that very churchyard. 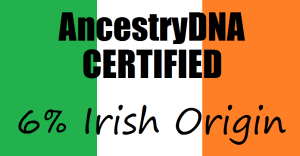 Jared, my 2x great grandfather, was born in Connecticut. Not 100% sure why his family moved to Canada but they were recorded as living in Beverly Township in Wentworth by the 1871 census. His parents were Freeman Marcy and Lydia Cordelia Green. He was one of 6 children. In the family portrait I’m stricken by his bold moustache and yet softness by holding a kitten in his arms. Sarah McNeilly, my 2x great grandmother was born in Westover which is part of Beverly Township. Her parents were Arthur McNeilly and Elizabeth Irving. She was one of 11 children. By this picture she has lots of curly hair and a nose that reminds me of my grandfather. I’ve never met these people, but their blood is my blood. One single photo, one moment in time from over 100 years ago, forever etched on my mind.